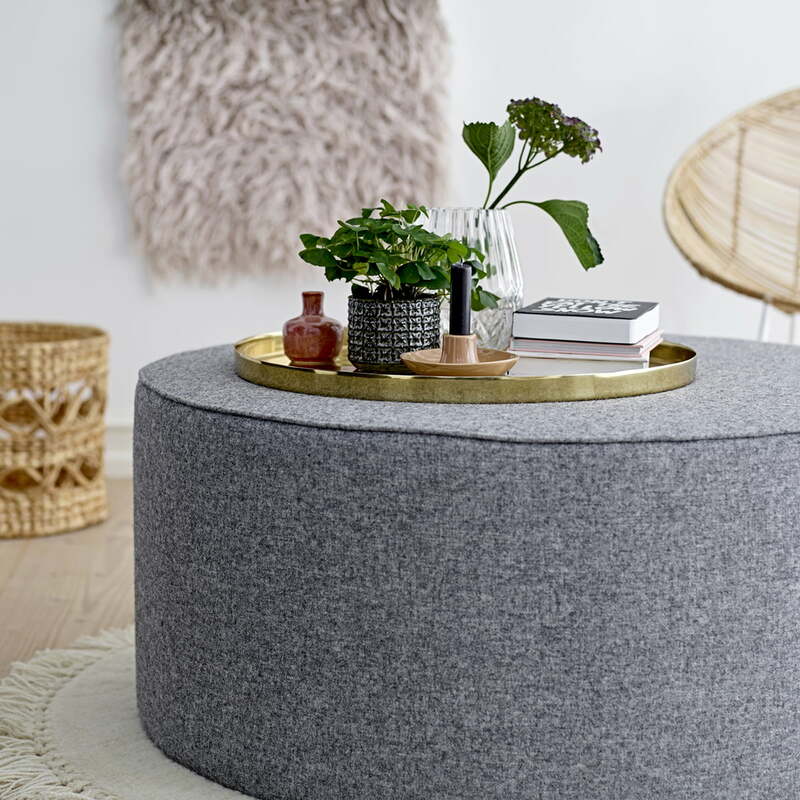 The round tray from Bloomingville is a versatile accessory that convinces with both aesthetic and practical advantages. Decoratively used, vases or plants can be stylishly placed on it and beautifully set in scene. If the tray is arranged on the sofa or pouf, it serves as a practical storage for drinks and snacks during a cosy film evening. The tray can also be used to transport breakfast from the kitchen to the dining table and, with a diameter of 50 cm, offers enough space for plates, jam, juice and the like. Raised edges prevent objects from falling off. 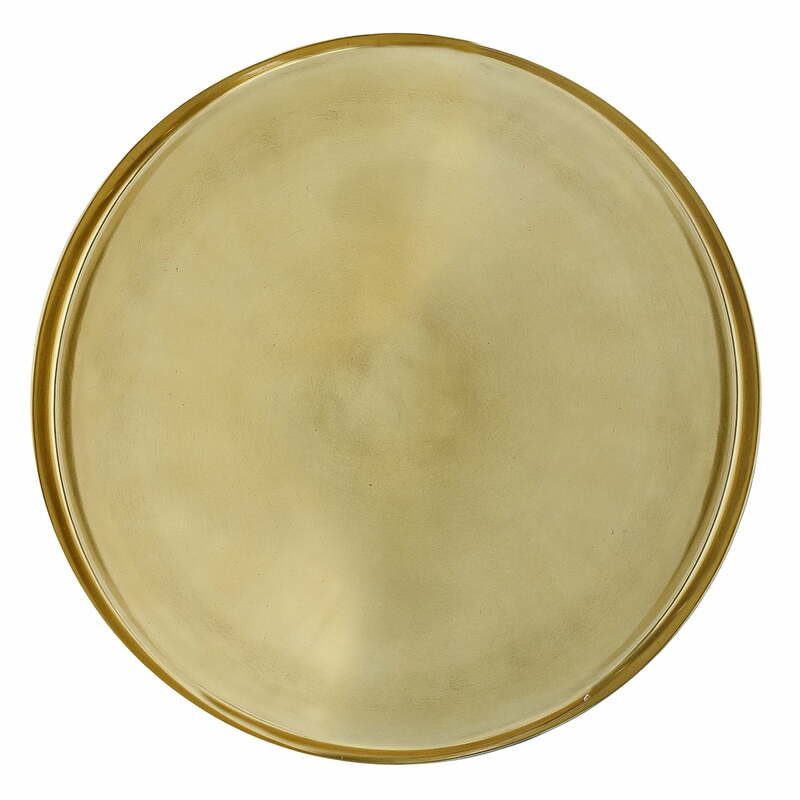 The round tray is made of aluminium, which was then lacquered in gold. With this finish it sets shiny accents and becomes an eye-catcher in any ambience. Tablet of Bloomingville in single view. The round tray from Bloomingville is characterised by its simple shape, but its golden lacquer adds a shiny touch. Tablet of Bloomingville in single view. 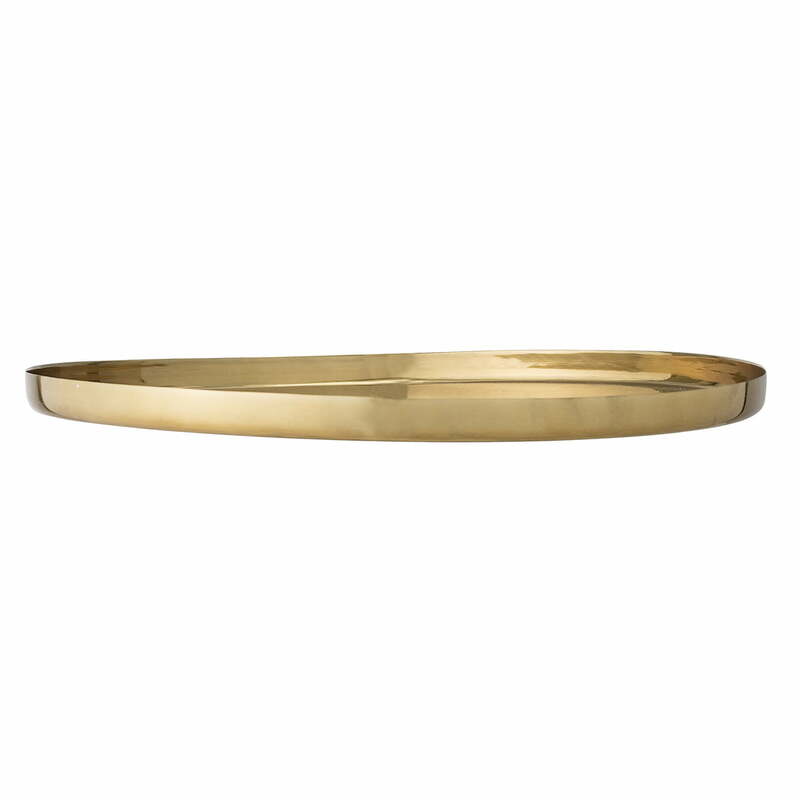 The tray is made of aluminium, which is then lacquered in gold. With this finish it sets shiny accents and becomes an eye-catcher in any ambience.